4 1/4 in. x 14 in. Semi-Rigid, heavy duty 30 pt. 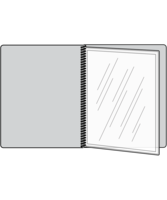 Pajco front and back covers are spiral bound to ONE Clear Vinyl Interior Page Providing TWO Inside Views. Menu covers are made to order, please allow 7 - 10 Working Days for Manufacturing. Blank Menu Covers may take 1 to 2 days less. Select Size5 1/2 in. x 8 1/2 in.4 1/4 in. x 11 in.4 1/4 in. x 14 in.8 1/2 in. x 11 in.8 1/2 in. x 14 in. Spiral Bound Menu Covers. Semi-Rigid 25 pt. 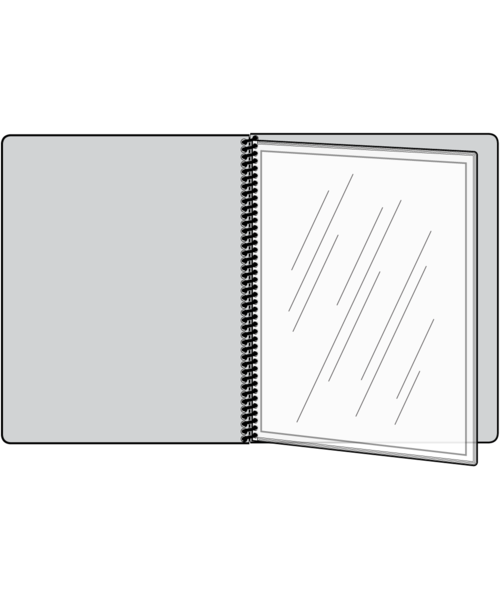 Pajco Exterior is Spiral Bound to ONE Clear Vinyl Interior Page Providing TWO Inside Views. Shop online with the Menu Shoppe today.